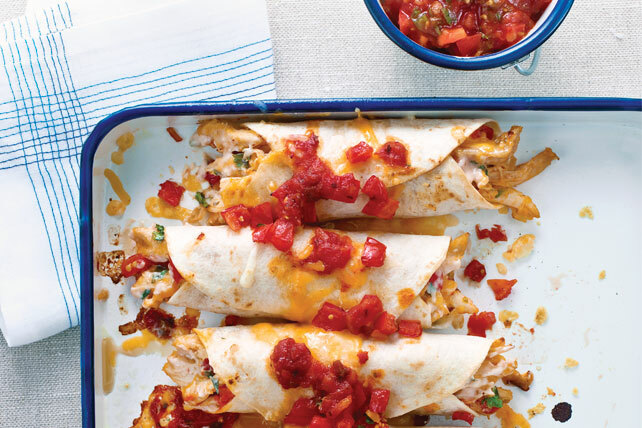 Chicken enchiladas are joined by two delicious appetizers—guacamole and tomato salsa—in our Mexican-theme dinner. It can all be done in 40 minutes or less. Chicken enchiladas are the main in a dinner menu featuring Mexican food. Make the guacamole while they're in the oven, and you'll still have time to make salsa. 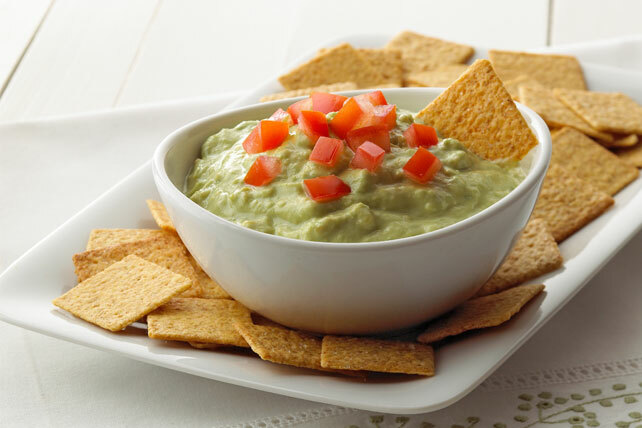 To some, guacamole is a dip. To others, a salad. For us it's an appetizer before a delicious main dish. Learn about avocados on our avocado how-to page. You are 6 ingredients and 10 minutes away from this salsa made with fresh tomatoes. Make it and serve it while the chicken enchiladas are in the oven.